If you have received a party wall notice, you may be wondering what it is and how to respond to it. 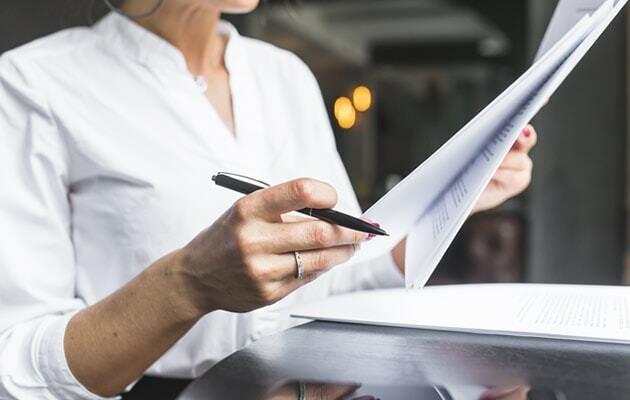 This page contains advice to help you understand why a notice has been served and rights you have as an adjoining owner. I have just received a Party Wall Notice, what does it mean? You have received a notice because your neighbour intends to undertake building works and some elements of these works are notifiable to you under the Party Wall etc. Act 1996. Notifiable works may involve works to a party wall, to a shared boundary or may involve excavations situated within 3 or 6 meters of your property’s foundations. We hope you find our FAQ below helpful. In many cases for small residential projects there is no need to dissent and appoint a surveyor. If you do not have concerns you might wish to consent, perhaps subject to the recording of a Schedule of Condition of your property. You are however entitled to appoint a surveyor to represent you and, apart from exceptional circumstances, their fees will be paid by the party undertaking the works. Any surveyor you appoint should have a sound knowledge about construction and be familiar with the Party Wall etc. Act 1996 as well as relevant case law. We are party wall specialists – Contact us for free no commitment advice. You may wish to consent if you do not have any concerns about the works taking place and are happy for them to go ahead without the input of a Party Wall Surveyor. You may wish to consent subject to a Schedule of Condition, in which case a surveyor will attend your property to record its condition prior to the works taking place. At Stanley & Strong, our Schedules of Condition are both text and photographic. It is customary for the text element of a Schedule of Condition to be shared between the relevant parties. We however keep photographs stored separately and securely on our server in case they are later required. Although the word “Dissent” implies that you do not want the works to take place, this is not the case and it is merely the term used within the Act. You may wish to dissent if you have concerns about the works that are taking place and would like a Party Wall Surveyor to review your neighbour’s proposed works. If you dissent, a surveyor will usually review the architectural and structural drawings along with the contractor’s proposed methods of working. Once satisfactory information has been provided the surveyor(s) will serve a Party Wall Award which authorises the works to start. Dissenting will not stop the works from taking place. Assuming the proposed works have planning permission and all other regulatory approvals, your neighbour will be free to start the relevant works once these have been authorised by a Party Wall Award. Option 2 – You can concur in the appointment of your neighbour’s surveyor who will then become the ‘Agreed Surveyor’. A surveyor’s duty is essentially to the Party Wall and the surveyor must act impartially fulfilling the role as set out within the Act. This option means there are less parties involved and the process will therefore often be quicker in running its course. Option 3 – You can choose another surveyor. Your surveyor and your neighbour’s Surveyor will work together to agree and serve a Party Wall Award. What is a Party Wall Surveyor’s Role if I dissent? Please note that under the Act, any person who is not party to the works can be appointed as a “Surveyor”. However, the Surveyor should have a sound knowledge about construction and be familiar with the Party Wall etc. Act 1996 as well as relevant case law. Stanley & Strong specialise in party wall matters and we are regulated by the Royal Institution of Chartered Surveyors. Once appointed, your surveyor will review the architectural and structural drawings provided to ensure that your neighbour’s proposals comply with the Act. A surveyor will also usually assess the contractor’s method and programme of works to ensure that the risk of damage, disturbance and disruption are minimised to only what is necessary. The review may include requesting changes to a design which prejudices your ability to undertake similar works in the future. A contractor may be required to change a manner of carrying out works which cause you unnecessary inconvenience. Alternatively, a contractor may be required to change a proposed method of working which carries a high risk of damage when another safer option exists. At Stanley & Strong, when appointed by an adjoining owner, we first write formally advising on the process, its timescales and asking what your concerns are. Understanding an adjoining owner’s concerns allows us to fully consider these and advise accordingly. Once appointed, the surveyor(s) will arrange a convenient time to record a Schedule of Condition of your property before works commence. In the unfortunate event of any damage occurring during the works, this document ensures it can be clearly identified and appropriate action taken. At Stanley Strong, we usually write again after this visit once we are familiar with your property and have assessed the potential impact of the intended works. The purpose of this letter is to keep you updated on the process and inform you of any relevant rights you may have under the Act. Limiting noisy working hours depending on the circumstances of all parties. Once works are complete, it is usually agreed that a surveyor undertakes a final inspection of your property to identify any damage. In the unfortunate event of damage, the Act provides an adjoining owner with the option to require the building owner to make good the damage or make a payment instead of repairs. Depending on your decision, your surveyor’s role is to assist in resolving in any dispute arising from the damage. The surveyor and process would require any relevant damage is made good or compensated and, if appropriate, your property cleaned and re-instated to its previous condition. If required, the surveyor(s) can make a legally binding determination to a dispute over damage or other loss incurred. What is the difference between “Consenting subject to a Schedule of Condition” and “Dissenting”? One of the main differences is the overall involvement of a Party Wall Surveyor. In the event of a “Consent”, the surveyor’s only role would be to record a Schedule of Condition (Condition Survey) of your property. All matters thereafter would be dealt with directly between the owners – this includes matters relating to the build itself such as agreeing access arrangements for contractors or protective measures that need to be put in place. A surveyor could not be appointed at a later stage to deal with such issues occurring during the works. In the event of damage, you would initially need to try and settle any claims over damage after the works. However, if you find yourself in dispute over any matters after the works (usually this would be damage or soiling), you could appoint a surveyor to help settle the dispute. In the event of a “Dissent”, the surveyor would undertake a review of the proposals and authorise the works by serving a Party Wall Award. It is the surveyor(s) who determines the conditions and method of working during the works and therefore the owners must follow these as they are set out in the Party Wall Award. The Surveyor would advise the owners on relevant matters at this stage and determine any claims of damage after the works. In both events, your rights under the Act (and common law) remain the same with respect to your recourse to having damage and any loss caused by the works made good. If you dissent, the surveyor will however review the proposals before the works begin, which may minimise the risk of damage and will also set out a legally binding framework in which the works should be carried out by way of a Party Wall Award. All surveyors’ fees are usually always paid by the party undertaking the works. This is however not a strict rule and is up to both surveyors to decide and allocate reasonable costs accordingly. In our experience, the only exception to this rule occurs in the event that an adjoining owner is deemed to have acted unreasonably and has intentionally obstructed and frustrated the surveyors’ work. We often receive calls from adjoining owners concerned about the impact their decision might have on neighbourly relations. At Stanley & Strong we strongly recommend to all our clients undertaking works that a Schedule of Condition of an adjoining property be prepared, even if consent to the notice is given. A Schedule of Condition protects the interests of both parties and we believe your neighbour should serve you with a notice and offer you this as a minimum. Having a written record of the condition of your property reduces the risk of any dispute over damage arising after the works. Any changes should be clearly visible and it should then hopefully be reasonably straightforward to agree any repairs directly with them. Dissenting will likely add costs to your neighbours however if you do not feel the information provided allows you to consent then you should not feel obliged to consent. Whilst appointing your own surveyor would add significant cost to your neighbour, you could consider appointing a single ‘Agreed Surveyor’ as a compromise who could act on behalf of both parties. My neighbour does not have planning permission so how can they serve a Party Wall Notice? This is not unusual. The party wall process is entirely separate to the planning process. Many people apply for planning and start the party wall process in parallel to reduce the time it takes to start work. Therefore, it is possible to have a Party Wall Award in place and for planning to be subsequently refused. The proposed works cannot take place lawfully without planning permission and the Party Wall process complete (for the elements of the works that fall under the Act). It is also possible that your neighbour is undertaking the works under “permitted development rights”. In this case, planning permission may not be required. If you have concerns over planning issues then you should contact your local authority’s planning department or, if you have strong objections, possibly consider instructing a planning specialist. My neighbour has applied for planning permission but I have not received a notice! This is not unusual. Due to the potential cost of the party wall process, some people prefer to have planning permission granted before serving a notice. If you are concerned that your neighbour will not serve a notice, we would recommend that you contact them to advise that you are aware of their planned works, that you believe a notice is due and that you look forward to receiving it in due course. My neighbour has started building works but has not served a Party Wall Notice on me!? Works undertaken without a notice are unlawful and you may lose the benefit of the protection of the Act. There are many issues that can arise from unlawful works with the most obvious being in the event of damage. If no notice is served, you would need to resolve any dispute over damage under common law. This means potentially instructing solicitors to recover your loss and whose fees you may end up paying over a prolonged case. By comparison, under the Act, a legally binding determination can be made by the surveyor(s) usually at the cost of the building owner who has caused the damage. If you become aware of works starting which you believe require a notice, you should first try speaking to your neighbour. It is common and quite possible they are unaware of the Party Wall etc. Act 1996 and do not realize that a Party Wall Notice is due. We would be happy to discuss the situation with you to see if there is any way we can assist. If your neighbour refuses to serve a notice and continues the works, you may need to take legal advice. In most cases where there is a clear breach of the Act, a court injunction can be obtained to stop the works until the party wall process has run its course. What is included in a Party Wall Award if I Dissent? A Party Wall Award can cover almost any issue arising from the works. Most awards, such as those at Stanley & Strong, are based on the latest guidelines and templates provided by the Royal Institution of Chartered Surveyors. The surveyor(s) will then carefully consider the matters of the relevant project and adjust the template as is required. This includes the addition of project specific clauses and conditions to cover what is necessary. A Party Wall Award can set out the requirement of a building owner to provide an adjoining owner with a programme of works which provides details on timescales of when the relevant party wall works are likely to take place. Very often when works are taking place near or on the boundary, there is a need for the trimming back or temporary relocation of plants running along an affected boundary on the adjoining owners’ side. A method of working with any tree roots adjacent to excavations may also need to be considered. The specific requirements of dealing with the plants can be set out in the Award and this work may need to be done by a horticulturalist. The Act provides a legal right of access to a building owner’s contractor onto an adjoining owner’s land for certain elements of the relevant works. An award will set out how this can be done and what protections the adjoining owner’s property should have during the course of the access. This may include the timings and extent of the access. Protective boarding may need to be applied to an adjoining owners’ roof tiles while it is accessed for a loft conversion. Alternatively hoarding or fencing to be erected on an adjoining owners land to keep the property secure and any soiling to a minimum. Scaffolding can often be required at roof level for loft conversions and at ground level for flank wall construction. While a building owner may have a right of access, an award will set out how this access will take place to ensure the access is safe and secure whilst also minimising the resulting inconvenience. In situations of complex works, e.g. excavation for basement Construction, Party Wall Surveyors have the option of seeking the advice of an independent structural engineer. This ensures that another qualified person looks over the proposed works design from the perspective from the adjoining owner’s property. In order to reduce the risk of damage to an adjoining owner’s property, an award can set out that the building owner’s contractor only use rotary or hand tools on a party wall. This will reduce the percussive works which in turn reduces vibration and the risk of damage. Should a building owner make use of a party wall that an adjoining previously built, an enclosure cost is due to be paid by the building owner to the adjoining owner at the time of enclosure. The surveyor(s) will calculate the contribution and set this out in the Party Wall Award so that payment is legally binding, ensuring the adjoining owner is properly compensated. Slip membranes are fitted at the abutment of an adjoining owner’s existing foundation and a building owner’s proposed foundation. The membrane ensures the two respective foundations are separate, thereby allowing the new foundations to settle with reduced risk to the adjoining owner’s property. When a building owner is constructing over or close to drainage, a CCTV Survey may be required. The survey and video ensure that the condition of the pipework underground is recorded in advance of the works commencing. The surveyor(s) may also request safety tests to any gas flues which may be affected by the works. An award will set out the timing and manner of the elements of the building owner’s works which fall under the Act, including the agreed days of the work, the working hours and the timings of any necessary access. In determining working hours, the surveyor(s) will consider the requirements and circumstances of both the adjoining owner and the building owner. It is important to remember that this is only in relation to specific elements of the works which fall under the Act and not the works as a whole. For works particularly involving an adjoining owner’s property being exposed, it may be necessary that open vents or chimney breasts are temporarily sealed. This ensures that an escape of dust or soot does not soil the adjoining owner’s property. The Party Wall Act makes a building owner responsible for any damage or loss to an adjoining owner’s property arising from their construction works (the elements of the works falling under the Act). The surveyor(s) will try and minimise the risk of any damage as part of the process of agreeing a Party Wall Award. This is a sum of money to be held in an escrow account which can be requested by an adjoining owner on some projects. It ensures that in the event of works being abandoned (for whatever reason), the adjoining owner’s property is not left exposed to incomplete works and undermined. If authorised by the surveyor(s), the funds can be released to the adjoining owner to undertake the necessary work to safeguard their property. The sum is usually calculated by the surveyor(s) and included in an award. Excavating in sections, commonly known as “hit and miss”, is a method of excavating used when excavations run close to an adjoining owner’s property. When the surveyor(s) determine there is a risk of undermining an adjoining owner’s foundations, the award may require that the excavations are sequenced to reduce the risk of movement and damage. Where there is a risk of water ingress and damage to an adjoining owners’ property, the building owner has the legal obligation to weatherproof and protect an exposed party wall. The surveyor(s) would include the necessary protection in an award. The surveyor(s) will review any proposed foundation design to ensure that it complies with the Act. For walls built on a boundary, there should usually be no foundations projecting onto an adjoining owner’s side of the boundary as this could cause unnecessary inconvenience if they undertake similar works in the future. For foundations beneath the adjoining owner’s land, there should be no reinforcement within the foundation without the adjoining owner’s written consent.